When the 2017 season began for Hendrik Clementina he was in the Los Angeles Dodgers organization. After a down season in the Arizona Rookie League in 2016 the Dodgers showed confidence in the 20-year-old catcher and sent him to the Pioneer League to join the Ogden Raptors. The year couldn’t have gotten out to a much better start for Hendrik Clementina. On opening night he went 4-5 with a double and drove in four runs. That carried forward for the next 10 days as June came to an end, racking up a 7-game hit streak. The hit streak remained alive for Hendrik Clementina for the first ten days into July, reaching 13 games. In the six games in July where he had a hit in each, he also racked up five walks. On the 12th the streak would come to an end with an 0-3 effort that included a walk and a run scored. Things picked right back up for the catcher who played, and hit in all five games over the next week, going 9-22 (.409). After another 0-3 game with a walk and a run scored, he would rack up hits in the final four games of the month. Through 24 games on the season he had reached base in every game and only gone hitless in two of them. On July 31st the Dodgers would trade the young backstop to the Cincinnati Reds. During the month he would hit .349/.434/.556 with nine walks and 13 strikeouts in 77 plate appearances. 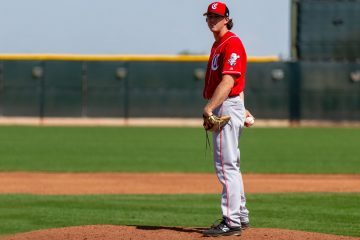 Once inside the Reds organization Hendrik Clementina was assigned to the Billings Mustangs. Things didn’t start out well with the Mustangs. In the first 11 days in the organization he went 1-17 with a double and a walk. On August 14th he broke out, going 3-7 with a double and went on a nice run over the next eight days. In that stretch he went 13-31 with four doubles and a home run. However, over the next eight games he would go just 1-21 with four walks. The month could close out for Clementina by going 3-5 and breaking out of that slump he had been in. In the final eight games of the year, all coming in September, he went 5-22.In 106 plate appearances in the final five weeks of the year he hit .240/.302/.365. Hitting | There are some concerns that Hendrik Clementina could struggle to hit at higher levels. Some scouts have noted his bat is slow, though I don’t think that’s the case. Still, he projects as a below-average hitter – but as a catcher the hit tool could play just fine. Power | There’s some pop in his bat and he projects for average power in the future. Running | He’s a below-average runner – but as a catcher it doesn’t matter much. Arm | He’s got a solid-average arm. Defense | Hendrick Clementina is considered to be quite raw behind the plate. 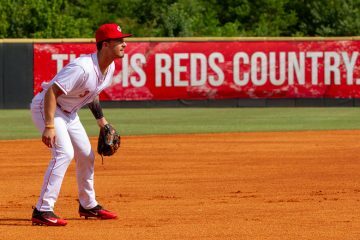 The Reds believe he has the ability to remain behind the plate, but he’s going to need to work on all aspects of his defensive game. 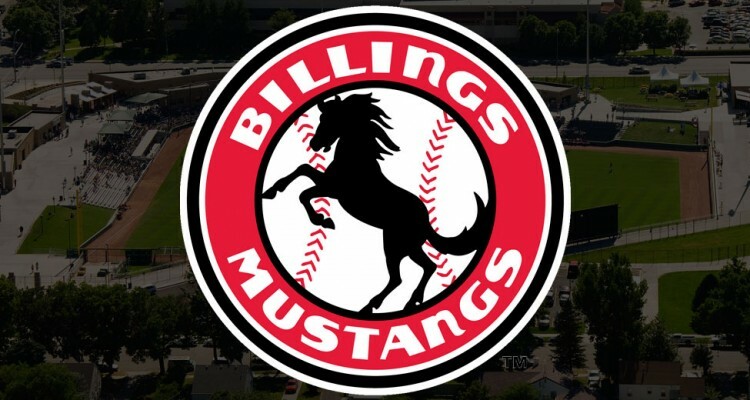 After hitting .370 in half of a season with Ogden, Hendrik Clementina hit just .240 in the second half with Billings. Obviously, he’s not truly a .370 hitter, so some regression was expected. He’s also not likely a .240 hitter – likely somewhere in the middle is where he will eventually wind up. What’s interesting is that he rarely pulls the ball in the air – he only went to left field 8% of the time, while going to center and right over 20% of the time. He did show off good power to both of those fields, but surprisingly had no extra-base hits to the pull-side. Defense is where the larger concerns are with Hendrik Clementina. His glove work and athleticism behind the plate are considered below-average for the position. Where he does get strong grades is in his handling of the pitching staff. His mental approach to the game is strong and should help in making the needed adjustments, but there’s plenty of work to do as he continues to move forward. Always good to have more catchers who have a chance at developing. Never know who the next Tucker could be. I don’t think many expected him to become what he is, but there he is. I really hope Mez can be healthy this year and re-establish himself at the majors. Reds could even cash in and trade him at the deadline if he is doing good enough for a little bit of something maybe. May be a stretch though. It’s going to take the perfect situation for him to rebuild his value enough to overcome all the injuries over the past few years. I also really hope to see Tyler Stephenson and Okey stay healthy and have productive years. That would go a long way to seeing hope for the next strong battery mate to go with Tucker and the eventual heir apparent. Below average athleticism and concerns on defense. And the subject of the post is “Cincinnati Reds TOP Prospects” ??? That’s the name of the series of the article. 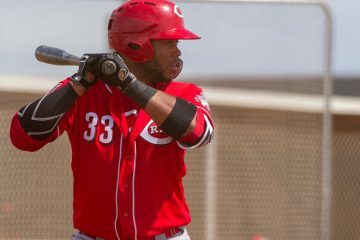 Clementina isn’t in Doug’s top 25 Reds prospects, and I don’t think he’s in any of the national outlets top 30’s either. Doug has just done 40+ prospect reviews so far since last season ended. Mesoraco was BAD defensively in Dayton, maybe second worst in their history and just average offensively. If Clementina works hard like Mez did he can get there. Offensively I am not sure anyone knows whether he is the Dodgers or the Reds Hendrick. I’m sure as a young guy he had to be pretty mentally the second half by being traded. “Won’t hit” isn’t exactly what was said. Still, he projects as a below-average hitter – but as a catcher the hit tool could play just fine. Most catchers “don’t hit”. But if you can hit .250 as a catcher, you are actually a solid hitter for your position. Clementina projects as a guy who can actually hit for a catcher – but when compared to all players, which is what the scouting scale does look at, he’s below-average in hitting for batting average. We need to remember that a catcher could be a 40 hit, 40 power guy and probably be one of the top 15 hitting catchers alive. As The Duke noted – this is just the name of the series. I initially did the Top 25 Prospects, and those guys have their ranking listed. Beyond the Top 25, I’ve just randomly selected the guys to write about in no particular order. 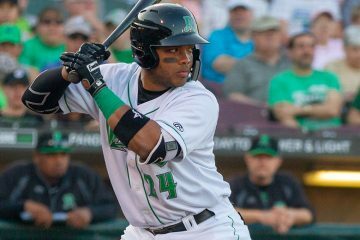 MLB Pipeline: Since you’ve been in pro ball, who has helped you the most? Trammell: A lot of people will say coaches but for me it’s a player, Tyler Stephenson. We went to high school about a mile away from each other. Tyler is a leader. I don’t think he knows how big an impact he has on me and a lot of guys. There were times last year where I felt down on myself, and we roomed together and he’d tell me, “You had some good swings, it’s going to come.” The way he goes about his business, interacts with every single player, you see the major league person in him. Baseball aside, he’s just a great person and a genuine guy who cares for everyone. Great to see this. Thanks for posting DB. Good information !!! Thanks for post. Yeah I’m going to have something on it, and some other pieces tomorrow. It was a short, but good read. If you have DirectTV sports package the Reds are on Angels Channel 692 today. Was hoping Ohtani would pitch but he isn’t. Maybe he will hit.